Follow us on Twitter, Facebook and LinkedIn for more content! At Lightswitch Learning, we offer a deep selection of resources for educators who focus on Black History Month in the classroom. Our books and materials cover historic African-Americans ranging from artists and activists to law, politics and business, helping teachers to introduce this important topic to their students in February and throughout the year. If you’re looking to jumpstart discussions about Black History Month in your classroom, here are three musicians to feature who will spark exciting classroom discussion. Edward Kennedy “Duke” Ellington had a 50-plus year career as a jazz composer, pianist and bandleader. Based in NYC, Ellington elevated the entire genre of jazz as well as the musicians who played with him. Boasting a catalog of over 1,000 compositions, Ellington has won 12 Grammy awards and is widely regarded as one of the most important composers in American history. 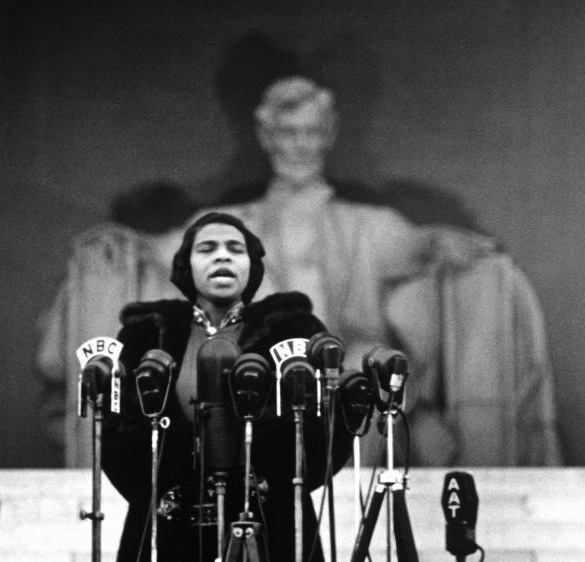 Marian Anderson, one of the most important singers of the 20th century, struck a blow against segregation with her music — specifically with her 1939 open-air concert on the steps of the Lincoln Memorial in Washington, D.C. — after being denied the chance to sing to an integrated audience at Constitution Hall. Anderson’s performance attracted nearly 75,000 attendees. One could argue that bluesman Robert Johnson is one of the reasons that rock n roll exists as we know it. As legend has it, Johnson took his guitar to the “crossroads” and made a deal with the devil, who in turn gave him mastery of the instrument. His recordings have permeated the entertainment industry, leaving a significant impact on artists such as Eric Clapton, Robert Plant, and Bob Dylan. You can read more about these musicians, as well as other trailblazing African-Americans from business and law to science and entertainment in our 12 book series, Major Black Contributions from Emancipation to Civil Rights.